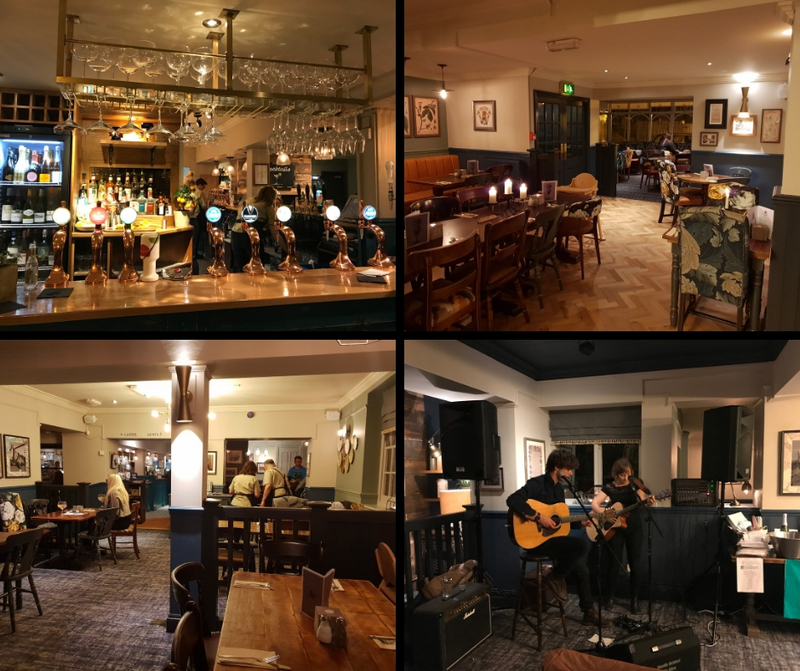 The Folly on Westerleigh Road Bristol has had a major refurbishment and reopened on 5th November in style. The Management have been working really hard during the build up to opening night, running competitions and publicising their new menu. They’ve been out locally, with a mobile unit serving their coffee and cakes and hitting the streets with goodie bags, flyers and drinks vouchers. The Folly is a modern family Pub and Restaurant with a very large garden and outside drinking area. The new décor is rustic, but charming and they provide a wide variety of Wines, Gins, Mocktails, Cocktails and of course, lager and cider. They had sneaky preview sessions during the weekend before the big night, serving drinks, cocktails and samples from their menu. We sampled everything, and I have to say the Beer Battered Fish samples and Korean-Style BBQ Chicken Wings were a big hit with all of us. The whole menu looks great I can’t wait to make my way through it! Monday Evening was the official opening night, the pub was packed, there was live music and a raffle in support of a very worthy charity SRUK. A Cheque for £3,000 was presented on the night. 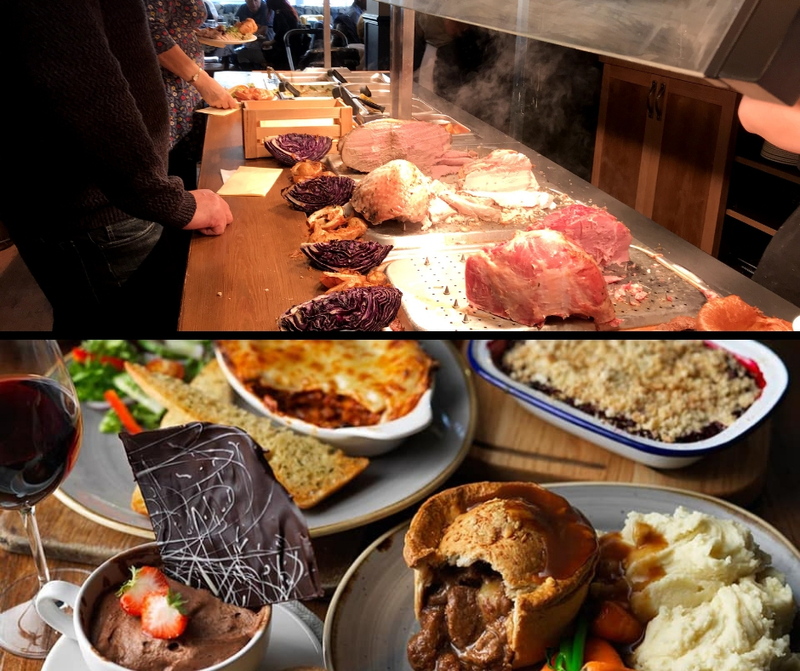 Carvery’s on Sunday’s are extremely popular, booking well in advance is essential. We went last Sunday. There is an amazing selection of fresh veg, with Beef, Turkey and Gammon to choose from or a bit of each if you fill that you are up to it. Mushroom, Parsnip and Hazelnut Tart is on offer for Vegetarians. I have to say this is one of the best Carvery’s I’ve had in a long time, I always new The Folly was busy on a Sunday and now I know why. The Folly also has a very large beer garden, with plenty of seating, you may even see the odd duck wanding around. Free Wi-Fi, Disabled Access and dogs are welcome and there's a free carpark. The Folly started its life as a Farmhouse and was originally converted into a roadside Cider house, where Nelly Hussey was the landlady. At the time it was called “The Beaufort Arms”, named after “The Duke of Beaufort” who hunted the land in the surrounding areas, there are tails of many jolly and late nights drinking and singing around the resident piano. In 1975 the pub was taken over by Dave and Molly Nunn. Although the Pub was called “The Beaufort Arms” locals nickname it The Folly, it means to trick or swindle and it is said that when the local mines flooded, the miners would say they had been swindled. Water from the mines went in to The Folly Brook which still runs behind the pub today. Years later Dave Nunn changed the name of the Pub to The Folly. The pub became a much-loved family country pub, with regular skittles, darts and quizzes nights. The bar was always full of with locals enjoying a game of cards, playing pool or just chatting and putting the world to rights. The Nunn’s sold the Pub in 1999. They retired to Spain, to the Costa de Sol, where they loved to take their holidays. Some members of their family still live in the surrounding area. The Folly has changed hands a few times over the years since, it’s be modernised, but apart from some small additions, essentially the exterior of the building remains the same. All in all this is a very good pub that has stood the test of time, its always remained very popular, the current management are doing a really good job to make sure it continues that way. Well done Chris and Team. Had a lovely family birthday lunch at The Folly. Both the waitresses that served us were friendly and helpful. The food was lovely too, but the friendly service really made it a lovely afternoon for us! We went there in early August on a Sunday lunchtime, didn't have a booking we just winged it. OMG the place was packed, it was heaving. We were approached by a member of staff, who amazingly found my wife and I a table in ten minutes. We had the carvery, which was hot, fresh and plentiful, bar service was good, with a good range of beers, lager and cider. Toilets where clean. There's plenty of free car parking here, also has a nice garden for the kids play in. We spent 2 weeks creating the best online guide to Bristol on the web. It includes everything from free things to do to what to do with kids and a bucket list of attractions along with some of the best places to eat and drink.